LeBron James is the king of Los Angeles now. The superstar joined the Lakers in this year’s free agency and not only will he play basketball but he plans on making a lot of anti-President Trump content as well. And the three-time world champion just inserted himself into the NFL’s anti-American anthem-kneeling debate in a crazy way. 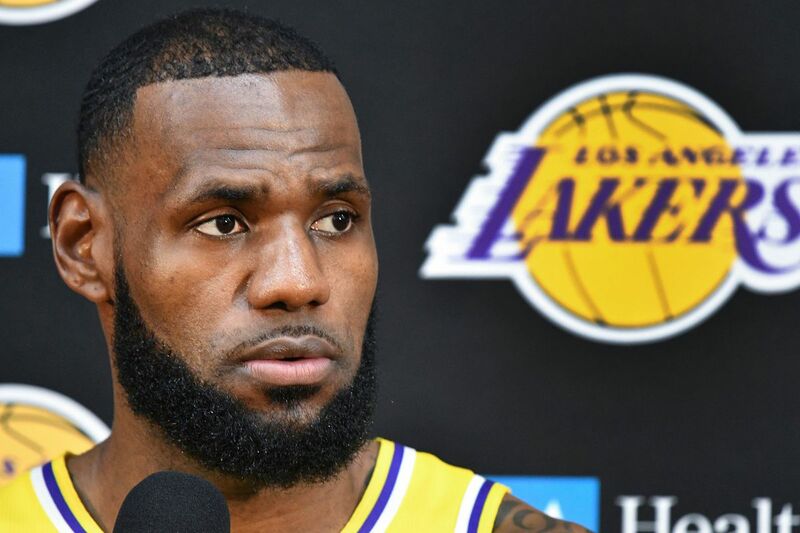 LeBron James didn’t just come to Los Angeles because he wanted to be a Laker. He wants to produce and star in movies. James played Gwangi in Smallfoot recently and will star in the upcoming Space Jam 2 for Warner Bros. But he’s also producing a documentary about the history of basketball in Shut Up and Dribble. This is obviously mocking what Laura Ingraham said about him after his negative comments about President Trump. It will show only the positive influences that NBA athletes have on their communities and anti-Trump former ESPN analyst Jemele Hill will narrate it. Other than hating on our current administration, James also supports Colin Kaepernick. James wore a Kaepernick shirt to a Lakers preseason game. This shouldn’t come off as a surprise. They’re both part of the Nike empire. Right out of high school, James signed a ten figure deal with Nike for his shoes. It’s roughly estimated that he’s made roughly a billion dollars from his relationship with Nike. And James got paid even more when Nike introduced Colin Kaepernick as the face of their 30-year anniversary “Just Do It” campaign. Sales went up drastically after they made a meme and commercial for the disgraced former quarterback. Liberals clamored for Nike products because of that move. Nike sales increased 31% the week after the ads unveiling. The leading apparel company in the world stock value shot through the roof. It closed at an all-time high of $83.47 on September 13. James is particularly making fun of anybody who was outraged by Nike’s decision to make anti-American Kaepernick the face of the ad. What they won’t tell you is that Kaepernick’s decision to kneel during the National Anthem isn’t what’s keeping him out of the league. It’s all about his poor quarterback play and money. Kaepernick wants starter money to play backup quarterback. No team can afford that. Not just affording his salary, it’s all about the salary cap. His money against the cap means that the team can’t upgrade a position they badly need. And every single NFL team has a problem somewhere on their roster. A Kaepernick hiring complicates all of that. James has weighed in on the Kaepernick debate before too. It might shock you to learn that the NBA has far stricter rules about the National Anthem than the NFL does. That’s obvious considering that the NFL still hasn’t implemented a new rule against those that sit or kneel during America’s song. And Silver refuses to change that rule. A fine or suspension would ensue if a player or coach kneeled. So it begs the question why James doesn’t kneel. James is such an enormous superstar of the league that if he wanted to, he could kneel and face zero repercussions. The reason why is because the league can’t afford the backlash. So if James really was adamant about Kaepernick, it would’ve already spread to the NBA.